Akinator can read your mind and tell you what character you are thinking about, just by asking a few questions. 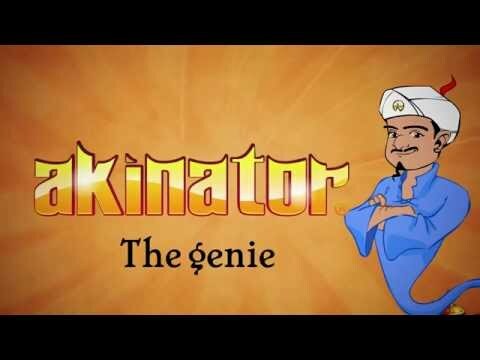 Think of a real or fictional character and Akinator will try to guess who it is. Will you dare challenge the Genie? Challenge your friends on the leader boards to prove who is the best. To... see more Akinator can read your mind and tell you what character you are thinking about, just by asking a few questions. Think of a real or fictional character and Akinator will try to guess who it is. -To select your language, don&apos;t forget to scroll down the list to find it.